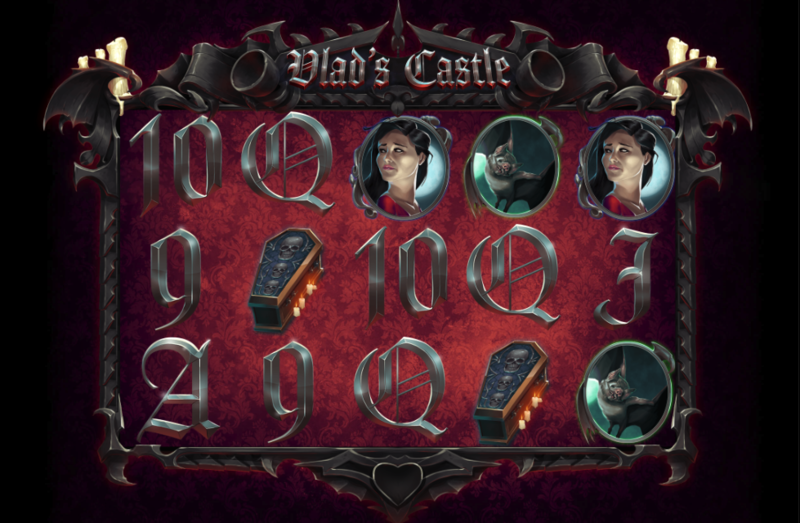 An online slot machine set in the creepy home of Count Dracula is the theme of this game from Eyecon – it’s called Vlad’s Castle and gothic appearance hides two separate bonus features and some spooky sound effects. Vlad’s Castle is a five reel slot with four rows and up to twenty five paylines; a lonely piano provides the atmospheric sound effects and the gameplay takes place on a set of reels bordered by a spiky, metal frame. The high value symbols include the worried girl, a bat, a coffin and a white rose; 9, 10, J, Q, K and A represent the lower values. Vlad himself is of course wild and he’ll substitute for all others to help form winning combos except for the castle scatter symbol. He will double any wins to which he contributes and he can also trigger the main feature as a scatter symbol. This is triggered by landing at least three of the castle scatter symbols anywhere in view and you’ll win one pick per castle in the next stage; each pick will award a prize of up to 100x the total stake. 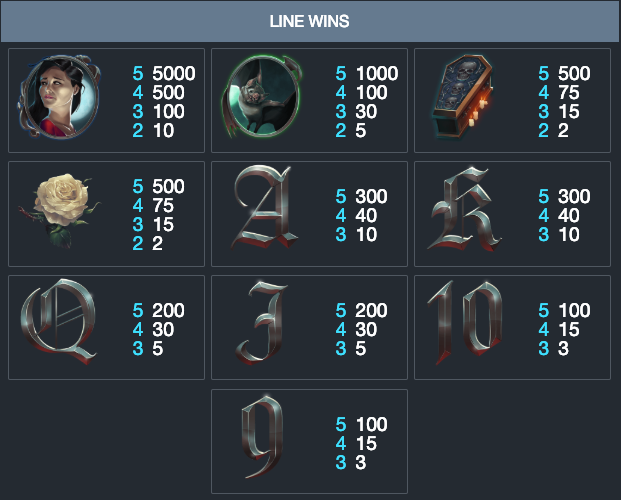 Trigger this by landing three, four or five of the Vlad wild/scatter symbols anywhere in view for which you will receive 15, 20 or 25 free spins respectively. It’s possible to retrigger the spins a maximum of fifteen times and during this round Vlad will triple any wins he helps out with as the wild symbol. Vlad’s Castle creates a spooky, gothic atmosphere in which to spin those reels and there are some nice graphical touches such as the way Vlad morphs into a gruesome vampire when he becomes active. Give it a go, but remember your garlic and holy water.